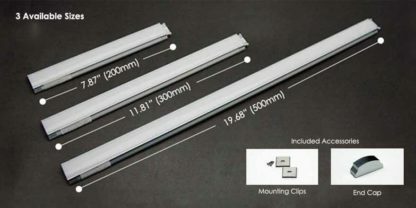 Super Bright Seamless Connect LED Light Bar are available in sleek a 7.87 inches (200 mm), 11.81 inches (300 mm) and 19.68 inches (500 mm) long sleek aluminium bars. 24V Single Color LED Bar available in Warm White (3000K) and Neutral White (4000K) color temperature. Seamless lighting expansion is easy by simply connecting another bar together. Low power consumption, energy-saving and long life span are the features of the LED Bar lighting. It is suitable to install cove lighting and under counter lighting. 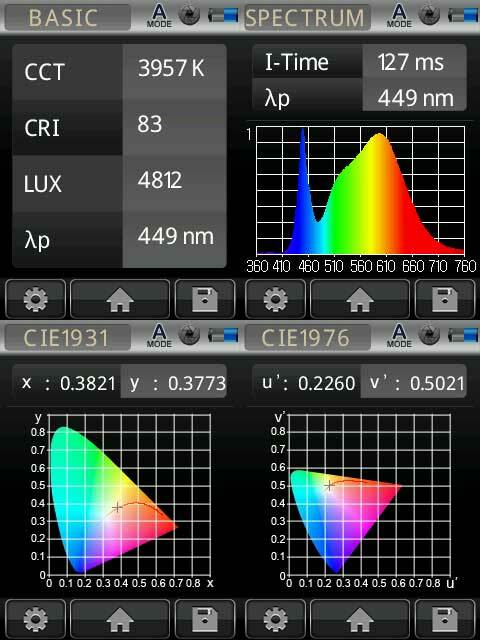 The Super bright LED Bar 2835 SMD LEDs with included Opaque cover provide an even bright light. 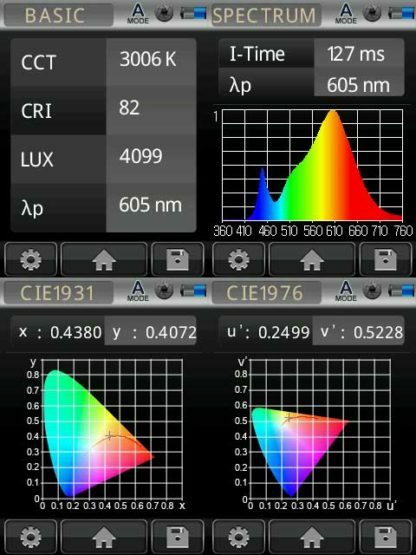 Seamless Connect LED Light Bar allows max 4 meter continuous run. 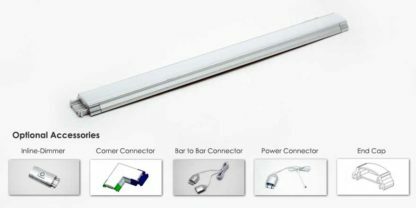 Power LED bar with LED Word’s 24VDC Class 2 regulated driver. 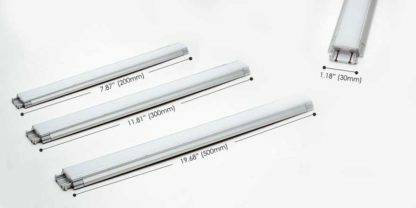 Low voltage 0.5m (1.64ft) long 20AWG connector with one 2.1 x 5.5mm DC Plug Female at one end with connector for Seamless LED Bar and LED Puck Light. Use to Connect with LED World's Plugin Power Supply. L Corner Connector connects Seamless LED Bar at 90 degree angle. 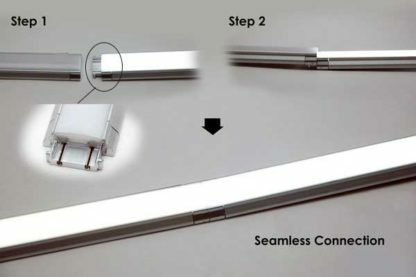 Seamless LED Bar to Bar Connector connects Single color Seamless LED bar to Single color Seamless LED Bar. 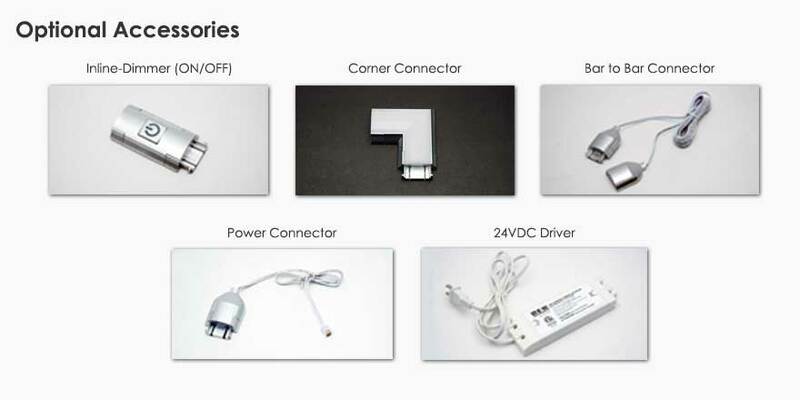 Seamless LED Bar Power Cable Connector to connect Seamless LED Bar to power source.